There are a lot out there to try, some free, some not. I found this one works quite well for me, though it uses an older version of Blender and Python. It is free. The page has a link to the tutorial which was helpful at showing you what to do. http://tentacolor.com/2008/06/06/tutorial-sl-animation-for-blender-newbs/ Avastar looks very interesting and Machinimatrix site has a lot of great info. I may eventually look into this one but am not sure of the current cost. http://blog.machinimatrix.org/avastar/ Daz had an offer out earlier in the year for their programs for free so if you managed to get that you can check out this video for animation using that. 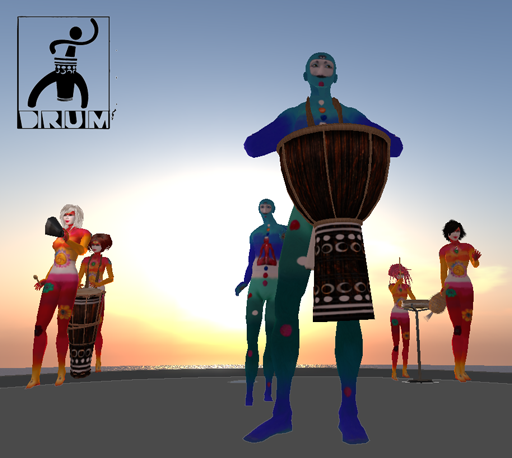 Medhue put out several great videos as well http://community.secondlife.com/t5/Animation-Forum/Customize-Your-Daz-UI-and-Shortcut-Keys/m-p/1596477 These are just some of what is out there. You need to find what works best for you. I just ran into SL to see if I could upload an new animation I just finished and had no problem at all. Have you tried reinstalling your viewer with a clean install to see if that clears the issue? If that doesn't work you may have to file a ticket. I am assuming you have checked to make sure your file is a .bvh file and that it is under 30 seconds in length. If it is a very complex animation the file may be too large to upload, though SL will give you an error message for that. Start with looking at your bvh file first. Something for Animators to think about ! Have a hard time making friends or finding a decent guy? Just like in RL, you need to find the things you have interests in and just go do them. First and foremost do things that satisfy you in SL and that you enjoy. Surprisingly when you get involved, help out, work on a project with a group of people that is when you start making connections and good friends etc. Hobbies are a great starting point or find a group that is pretty active within your interests and get involved helping out. People come and go that is a fact in SL and in RL so you have to expect it will happen and be thankful that person was part of your life for a while. Meeting new people is difficult but go into new adventures without expectations and often you will be surprised at what comes out of them. In addition to the SL Destination Guide, SL9B will have a Celebration Hub, a special place you can get information on all the other birthday events going on around SL! Please send a notecard, 256x256 texture (preferably with the name and date of the event on it) and LM to DMom2K Darwin so we can get it in the Celebration Hub as well! Check out this link in Animations Thread. Daz 3D has a limited time offer of three programs for free. An excellent value and well worth the trouble of learning. DAZ Studio 4.0 SL compatible? Here is link to a posting that has the SL avatar mesh with .cr2 and .obj files and instructions on getting it into DAZ Studio properly. Thank you so much for this, OptimoMaximo! I will be looking forward to the file. Your World. Your Imagination. It's back!